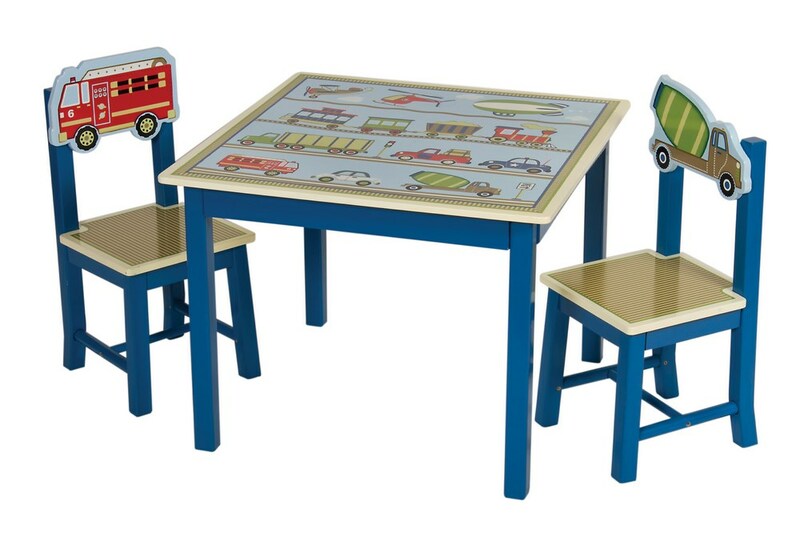 The beautiful Transportation Moving All Around Themed Kids Table and 2 Chairs Set by GuideCraft features double-bolt construction on table legs and angled legs on chairs prevent tipping. 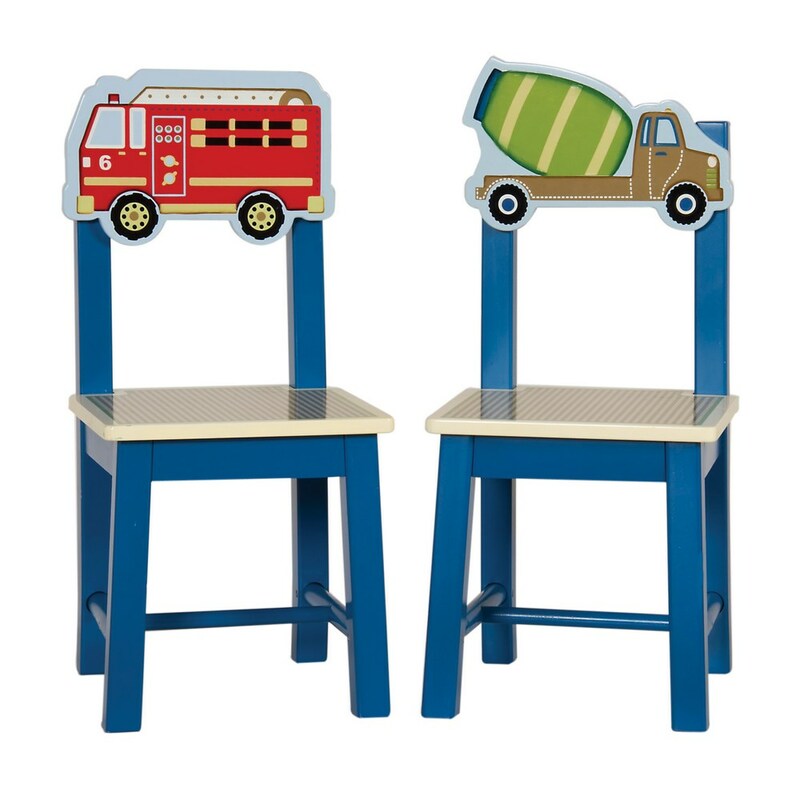 Transportation Themed Kids Furniture Collection Features hand-painted and hand-carved details, hardwood legs, posts and a classic, timeless design. 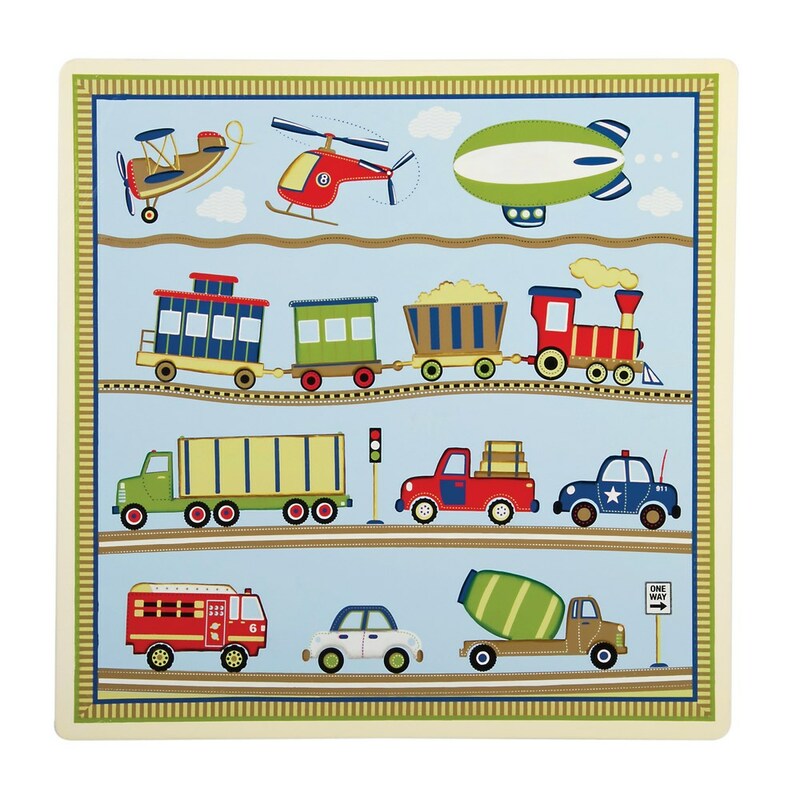 Moving All Around features chugging trains, adorable automobiles, and bustling air traffic! The illustrative scenes with hand-painted elements encompass a classic appeal that is perfect for a first-room or playroom. 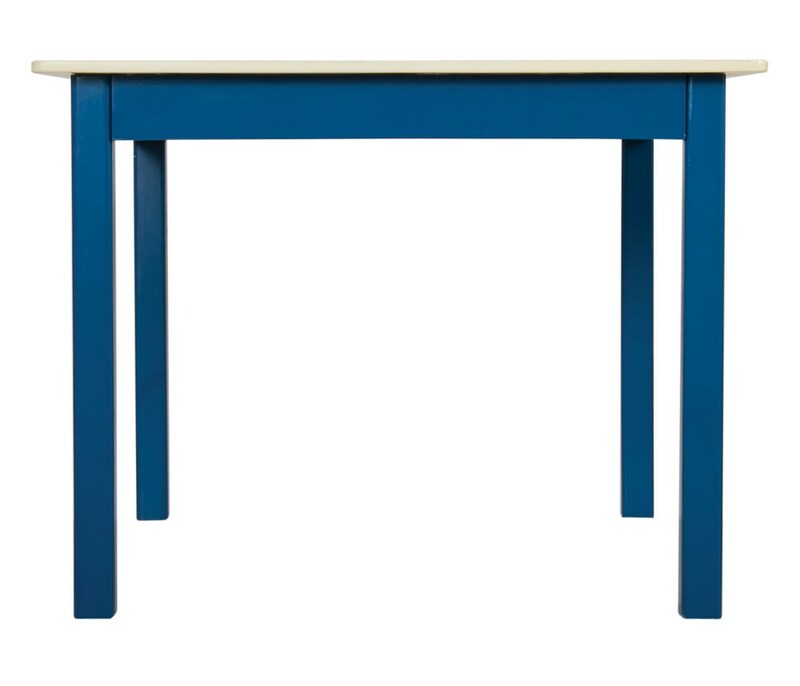 The muted, blue palette is the perfect matchback to many room decor and bedding collections. 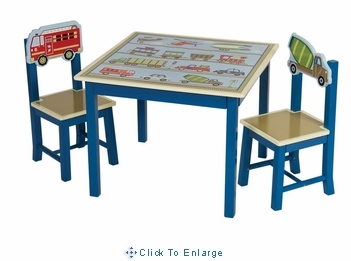 Collect all pieces of Transportation Themed Kids Furniture Collection to decorate a beautiful and unique themed child bedroom or play room!